The first place to turn to after being injured in a car accident is typically the other driver’s insurance company. But what happens when that other driver is not insured? Fortunately, there are still steps that may be taken to secure compensation for your injuries, but as with any personal injury claim, having the assistance of a knowledgeable and experienced personal injury attorney is critical to achieving a successful recovery that compensates you fully for your medical expenses, lost income, pain and suffering and other legal damages. The Law Office of Gary W. Fillingim, L.L.C. is vastly experienced in Mobile car accident claims, including those involving uninsured or underinsured motorists. 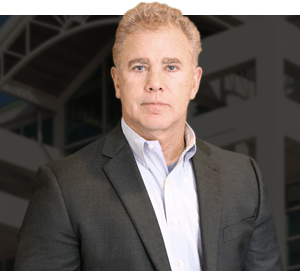 Attorney Gary Fillingim and his team will fight to see that you get the medical care and compensation you most greatly need and deserve. Alabama law requires all drivers to carry liability insurance or proof of financial responsibility that will pay at least $25,000 for personal injury damages in the event of a car accident that is their fault. If more than one person is injured in the accident, the policy must provide $50,000 to cover everybody’s damages. The minimum auto liability policy in Alabama must also cover $25,000 in property damage caused by the negligent, reckless or distracted driving of the policy holder. Despite the legal requirement to carry liability insurance, many drivers in Alabama flout the law and choose to drive without any coverage, hoping they won’t get in an accident or otherwise get caught driving without insurance. In fact, Alabama ranks sixth in the nation for having the highest number of uninsured drivers. With 22% of drivers uninsured, more than one in every five drivers sharing the road with you at any given time are driving without any insurance. What happens when you are hit by one of these uninsured drivers? Alabama insurance law addresses this situation by requiring all insurance companies to include Uninsured Motorist (UM) and Underinsured Motorist (UIM) coverage in their auto insurance policies. When you purchase liability insurance, your policy includes UM/UIM coverage in the same amounts as your liability coverage, unless you specifically rejected this coverage in writing. Some people do not fully understand what UM/UIM coverage does or how important it is, and they reject this coverage to save a few dollars on their premium. The fact is that UM/UIM coverage is relatively cheap compared to your overall policy, and given the number of uninsured drivers out there, it rarely makes sense to reject this coverage. If you have UM coverage, your own policy will cover your losses when you are hit by an uninsured driver. Likewise, if the driver carries only the legally required minimum amounts and your damages exceed those policy limits, your UIM coverage can kick in to make up the difference. UM/UIM coverage is thus very helpful when you are hit by uninsured motorist. Do not make the mistake, however, that just because you are filing a claim with your insurance company rather than the other driver’s, that your claim will be paid promptly and fully. Even your own insurer will send out an adjuster who will try to minimize the amount of damage that you suffered. When dealing with any insurance company – your own or the other driver’s – it is important to be represented by a knowledgeable and experienced personal injury attorney who knows what your claim is worth and is familiar with insurance company tactics to undervalue your claim. If it turns out that neither driver was insured, you may still be able to recover compensation by suing the other driver individually. If your claim is successful, you will still have to be able to collect from the negligent driver, which may require more legal action. At the Law Office of Gary W. Fillingim, L.L.C., we will explore all your options and discuss the best approach for helping you get compensation after a serious Mobile car accident. Call 251-445-7257 for a free consultation.